Being Tired Ain’t What It Used to Be! climb out and leave tired muscles behind. my muscles had left ME behind. to escape from the tub! Hmmmm, would Prison Break’s script writers be interested in the scenario? Then, guess what I learned today? Three sisters, aged 81, 83 and 85, live together. 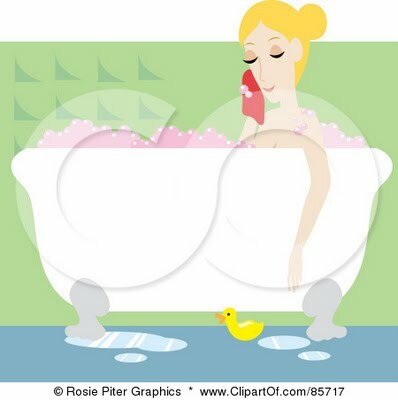 One night the 85-year-old draws a bath for herself. As she sticks her foot in, she pauses. She begins walking up the stairs, but then pauses. The 81-year-old is sitting in the living room, enjoying some tea. Note from Emanita01: Original post was modified to become a Bluebell Books’ Short Story Slam Week 14 submission. This entry was posted in Emanitawrites, Humor. Bookmark the permalink. 10 Responses to Being Tired Ain’t What It Used to Be! I really enjoyed the way you combined the poem with the humorous tale. It is a pleasant way to approach the prompt. I’m off to read yours ! love it, this is a talented creation…. 10 minutes to get out, wow?!! But, if only you could have seen the video…the escape showed some REAL talent! A la necessity is the mother of all invention! !